Google Trips – travel smarter? 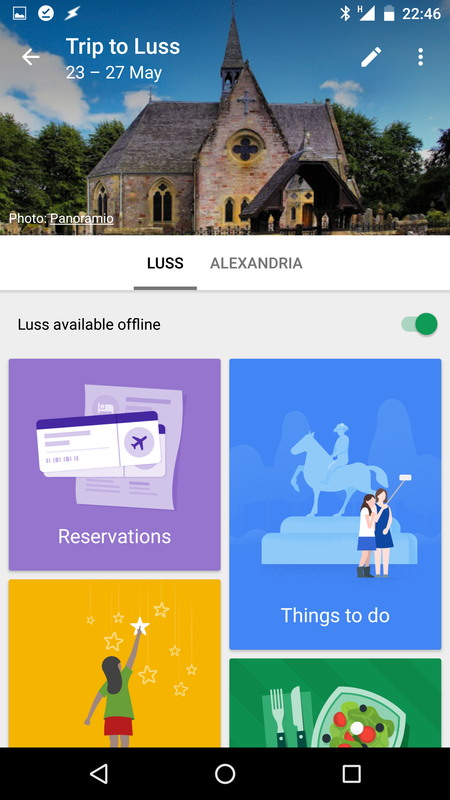 Few days ago I received an invite to test the Google Trips app. The application is in a beta, and invitation came as part of the Local Guides perks, which I participate in. I’m not planning anything amazing this year, but I’m off to Scotland in 2 weeks and I figured out I would give it a go. Upon opening the application for the first time, I was presented with all ‘trips’ I have made in the past. The app promptly went through my past emails and fished out the last year’s trip to Seoul and few other bookings I’ve made. I was able to look up my flights and some details related to that adventure alone. I was surprised that, this is still there, as I’m a big fan of a 0 email policy, which makes me clean my bin and spam folder more often than the local waste management services. 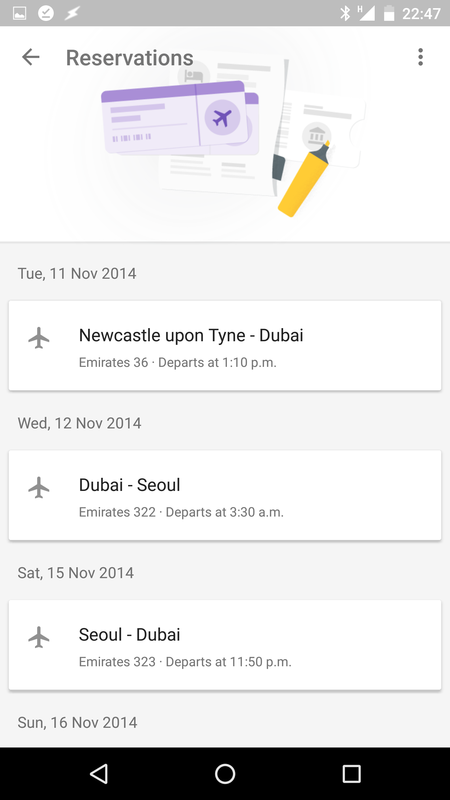 The Google Trips allows you to plan the trip using a calendar entries, or your actual reservations. Interface is pretty standard, resembling Google Keep in some way with its tiles for different functions. You can add locations and dates manually, smaller towns and villages nearby will be assigned to closest bigger location, if the separate entry is not available. All information can be stored for an offline browsing, including saved places, and nearby attractions. Here you can see all your flight, hotel and train reservations, with detailed information either pulled from the emails itself or internet. 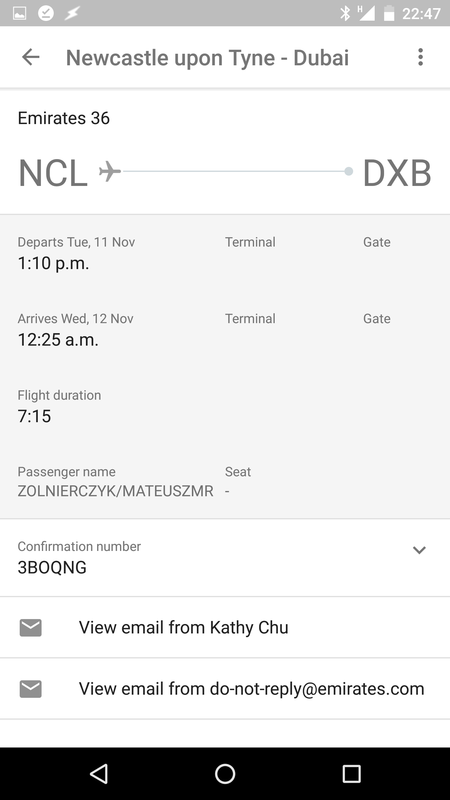 Flights have access to Google Flight interface with updates, booking numbers and direct access to relevant emails. It is a nice idea to see all your information in one place. The main focus of this section is to present you the most popular destinations in the area. Available filters allow you to narrow down activity type to indoor/outdoor and distance. Places of interests are presented in a random order, I was not able to see any patterns emerging based on my personal likes, distances or popularity. You have an access to the ‘business’ cards from maps of each POI and ability to store the info for an offline browsing. Listings in this section can be quite far away from the destination of your trip. I was able to see islands listings which were 3-4h away from my holiday destination. I’ve learned from this section that UK has a wild living population of wallabies, and I found few places nearby I really want to see. This is the maps usual Food places, this place works in the same way as the Things to do, with focus around cuisine and drinks. 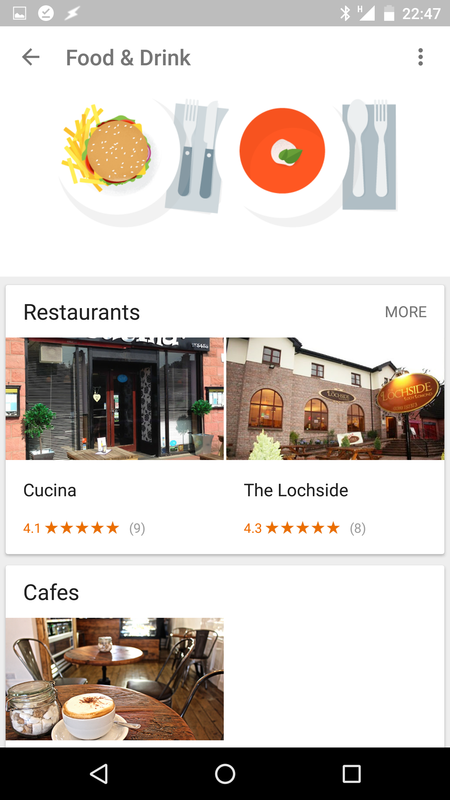 Results are shown in categories and contain needed info to find the place or book a table. Reviews, pictures and contact details, all that is available in offline mode. This section gathers all your saved choices for Things to do and Food & Drink. Available for offline access are business address, some pictures, reviews and contact details. 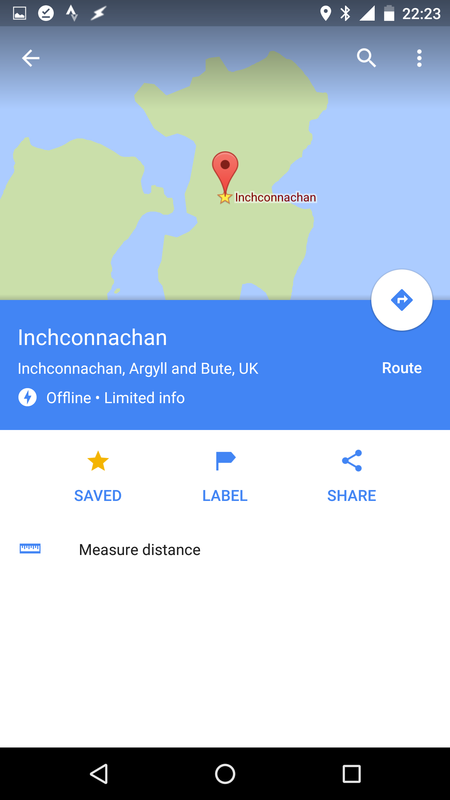 I would expect the maps around saved places to be updated and available for offline browsing as well, however after testing the maps offline, it turns out this is not the case. 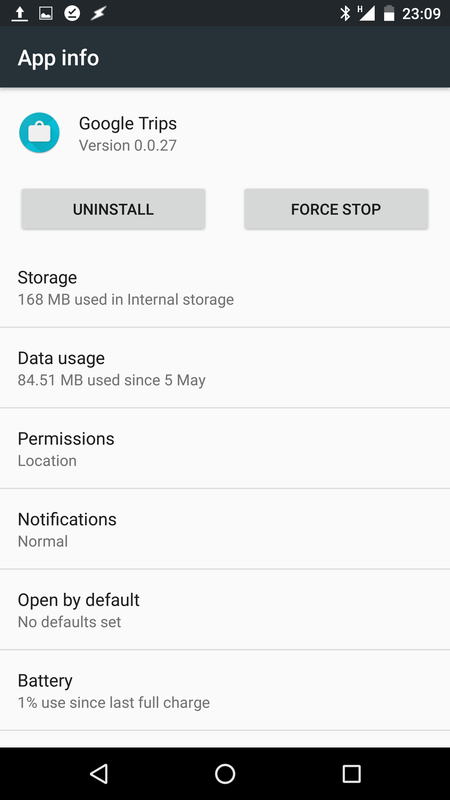 I’m surprised actually, as the storage used by app reached 170MB with 1 trip available offline with 2 destinations and about 6 saved places for offline viewing. 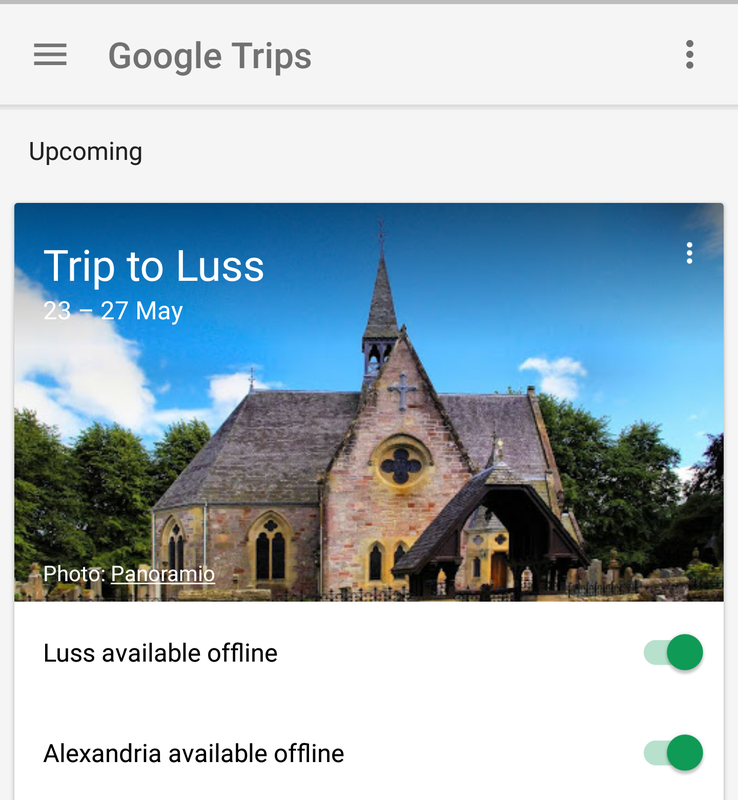 Google Trips has a good direction, however in current state a lot of the functionality is lacking, especially in an offline mode. Directions to destinations cannot be saved for offline access, maps of the visited area is not saved either, and what’s even more disappointing, saved placed can be accessed from the maps in the web-browser, but they are saved as location, not as business or places. This means that you are unable to look up what you have actually starred on the map itself, as there is no relevant information or business allocated to the location bookmark. The storage usage is not adequate to the information saved. I would welcome an option to delete the trip and all associated emails with in one go, but this is also not possible. Filters could be better, with distance adjustments, food types, and all goodies that are already available through the google maps. Overall this is a step in a right direction. More focus is needed to allow for better offline browsing, as battery life span while travelling is most precious, and mobile network connectivity is first in line to use all of this important juice. 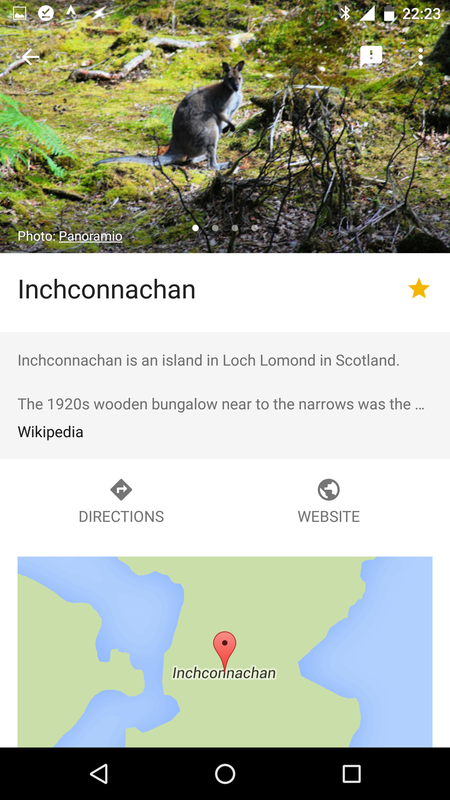 I’d like to see more search functions available to explore the areas, or just simply browse activities (bicycle related places around the destination). Better sync with maps would be welcomed, ability to add notes, reminders, calendars, and perhaps native google booking. I’m curious to see if there will be any photos integrations once the trip is in progress. For now, this app is not going to threaten any other travel services, I’m keep getting surprised how hard is for Google to increase the adoption rate of new services. 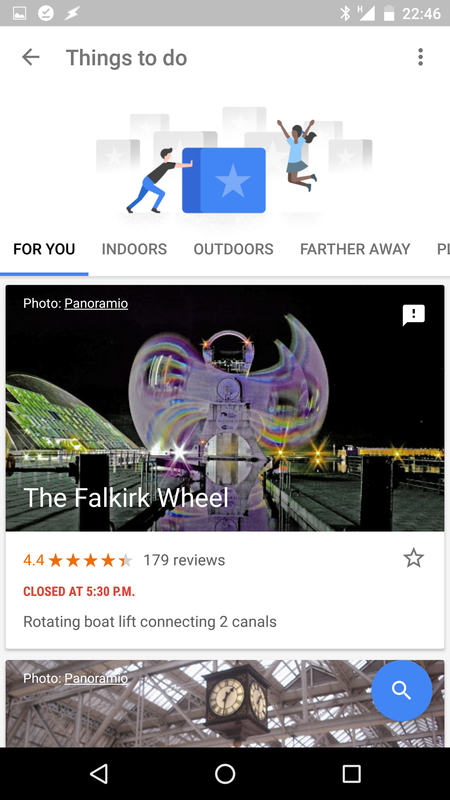 Google nailed the Maps, created an excellent platform to support travels and navigations, but services lags behind the established travel hubs like Tripadvisor etc. I’d like to Google gaining traction in travel, reviews and location related services but we may need to way few years to see any major changes. I will be revisiting the app in the future, and I will write more post holiday impression on how helpful was the app while travelling. Post was written on 05/08/2016, Google Trips is in beta, functionality is a subject to change.